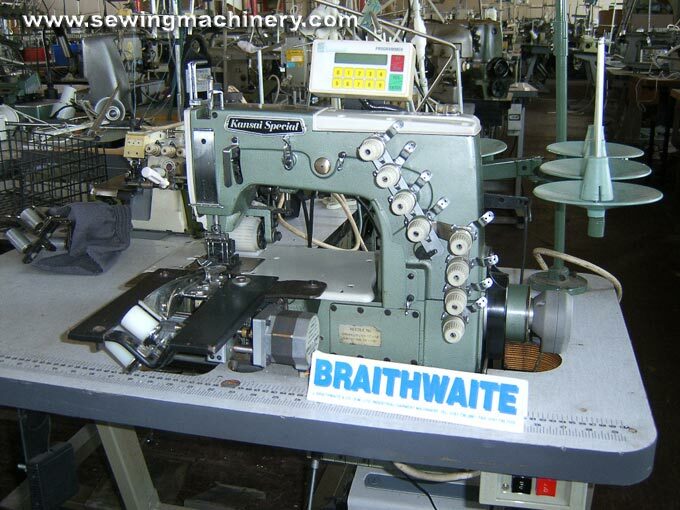 Kansai 1404 PMD E 4 needle chain stitch bonadex machine with back puller feed device. +Electronic programmable front meter device with digital display and easy push button control. +Short style bonadex folder system included as photo. Good condition, expensive when new.